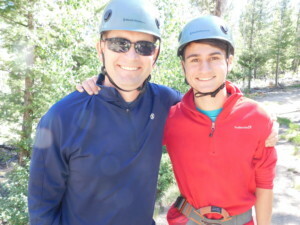 Join us for Father Teen Adventure (Son)…Rick Kuhlman, FTA mentor for over 14 years, will lead Dads and their teenage sons through a bible-based curriculum that calls young men into manhood, during a week of amazing Colorado backcountry adventures. Join us! Ten years ago the membership of OCF came together in 40 days of prayer and fasting before God to seek His will and direction for the ministry. Now we have come to the final piece of the puzzle—an expansion and renovation of the dining room and kitchen at Spring Canyon to accommodate the increased capacity of the camp.